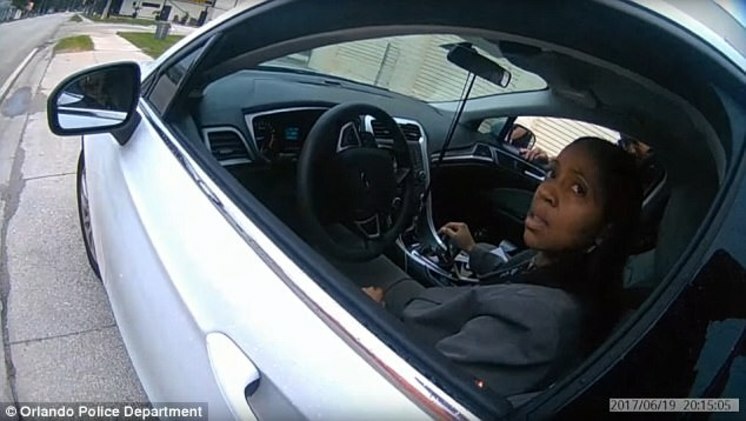 In a now viral video clip from a police bodycam, Aramis Ayala, Florida's first African-American elected state attorney, is pulled over by Orlando cops for what appears to be no good reason. But now footage has emerged where two white police officers are having a tough time explaining why they pulled over Ayala, the Orlando-area prosecutor on June 19 at about 8:15 p.m.
Ayala informed the cop she was the state attorney, which led to the cop explaining why she had been stopped. Ayala then asked, 'what was the tag run for?' which led to further attempts at explanation from the officer. 'Oh we run tags through all the time, whether it's a traffic light and that sort stuff, that's how we figure out if cars are stolen and that sort of thing,' he said, as the attorney could be seen getting noticeably annoyed in her seat. Politicizing justice is an injustice itself. IMAGE: Footage posted online by the Orlando Police Department shows Ayala in her car.